The following awards are possibilities for PHS Members. Please feel free to suggest recipients for these awards to any Board Member for consideration. Lifetime Members are honoured for their longtime membership and significant service to the Society. They have demonstrated quality service through their leadership, attitude and overall general demeanor in enhancing the reputation and purpose of the Society. This is a certificate which may be presented to a member at the discretion of the Society’s President in recognition of an outstanding contribution to the Society’s activities. One award per year may be given by a Society. Societies with a membership over 200 may give two awards per year. Application forms are available at the http://www.gardenontario.org website. NOTE: Horticultural Service Certificates may be presented only once to any member. Ten or more years of active membership in Societies. Service on Society committees, contributing time and effort to civic improvements and beautification, or public plantings. Encouraged membership enrolment by participating in drives or canvassing for new members. 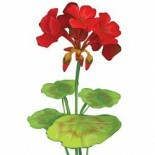 Inspired the horticultural efforts of either individuals or groups. Showed sincere interest in and supported the objectives of a Horticultural Society. Any member of a Horticultural Society who meets these qualifications is eligible for a Service Certificate. In case of severe illness, the ten-year membership requirement may be shortened. One award per year may be given by a Society. A Society with a membership over 200 may give two awards per year. Application forms are available at the http://www.gardenontario.org website. NOTE: Judging/Exhibiting Service Certificates may be presented only once to any member. Service on Society committees, contributing time or effort to organizing and/or exhibiting in flower shows or photo competitions, or in judging shows. Encouraged participation in exhibiting and showing by demonstrating expertise in organizing shows, floral design, horticultural exhibits, or horticulture/floral design photography. Inspired judging, shows, and/or exhibiting efforts of either individuals or groups. Showed sincere interest in and supported shows and judging of a Horticultural Society. 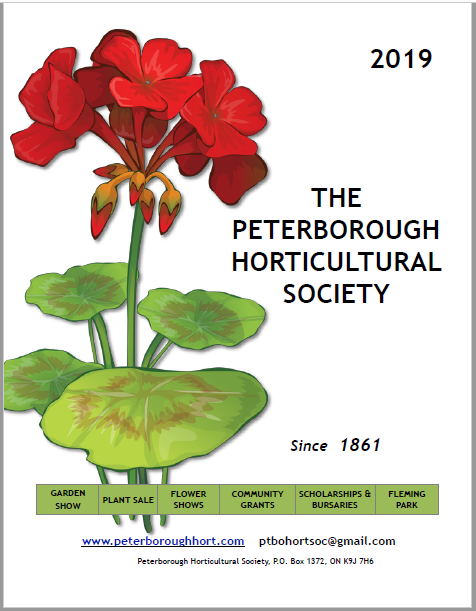 Join the Hort Society for their monthly meeting this Wednesday March 27th 7pm when we will welcome Garry Edwards who will discuss Propagating Garden Plants! See you at the Ptbo Lions centre! Mark your calendars, and let’s start planning our gardens for 2019!